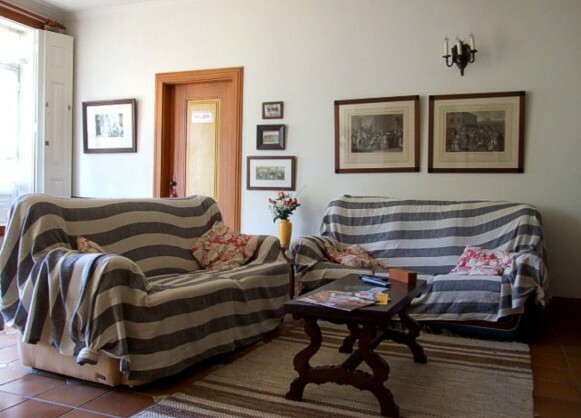 Minho Villa - A 19th century self-catering manor for rental near Felgueiras, North Portugal. 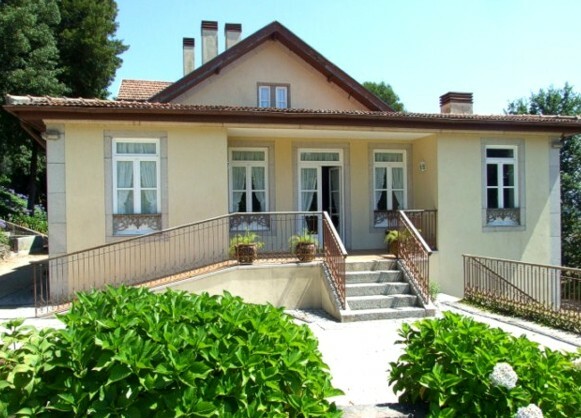 Casa Valdemar is on a slope with magnificent views of the Longra Valley and the Vinho Verde wine producing area. This estate has 2,5 hectares of land which is near a forest reserve of rare beauty. A new motorway crosses the hillside high above the house but does not affect the enjoyment. The house has been recently restored to meet the modern day living standards. On the ground floor, there are four twin bedded rooms and one double bedroom, all with en suite bathroom. The lounge has a television and a wide collection of books and a card table. A salamander can be lit on winter days. The first floor has one double and one twin bedrooms with en suite bathroom and another twin bedroom with en suite shower room. All the bedrooms are equipped with a television and central heating. On the annex there are four double bedrooms, all with en suite bathroom. 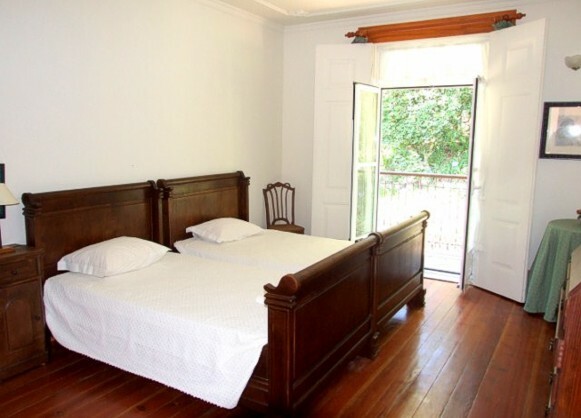 The four bedrooms can be rented in addition to the main house (*). Two extra beds are available at the annex. There is wheelchair access to the house and a lift connecting the ground floor to the lower ground. On the lower ground floor is a well equipped industrial kitchen with hob/oven, fridge, dishwasher and toaster. It is suitable for large parties. 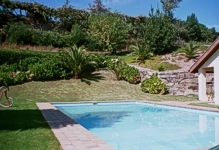 There is also a dining room with a fireplace which has direct access to the gardens and the pool. 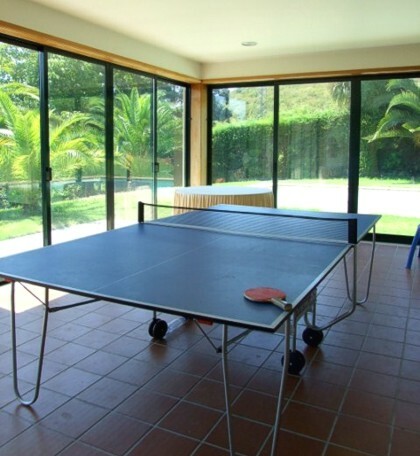 Near the swimming pool, in an annex cottage, there is a games room containing a table tennis table and a football table. 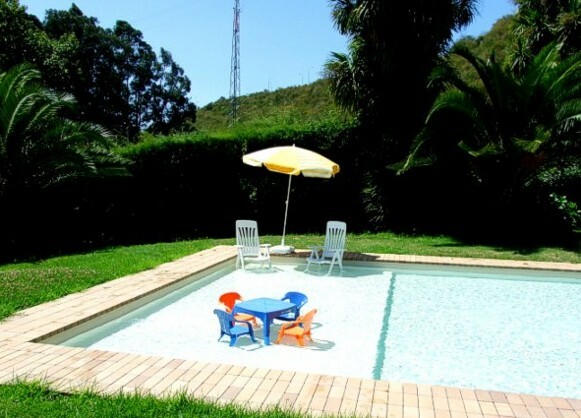 The large swimming pool measures 13 by 6 metres and has a depth which varies from 0,40 to 2 metres. Sun loungers and umbrellas are available. There is a changing room with shower and a built in barbecue next to the pool. 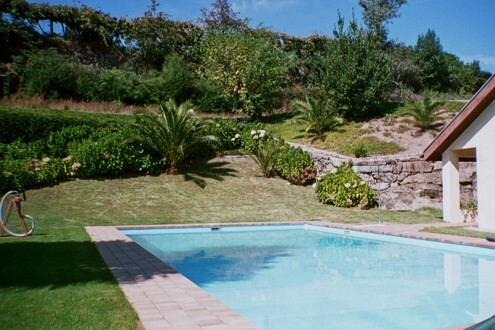 The garden is totally secluded with views of the vineyards. 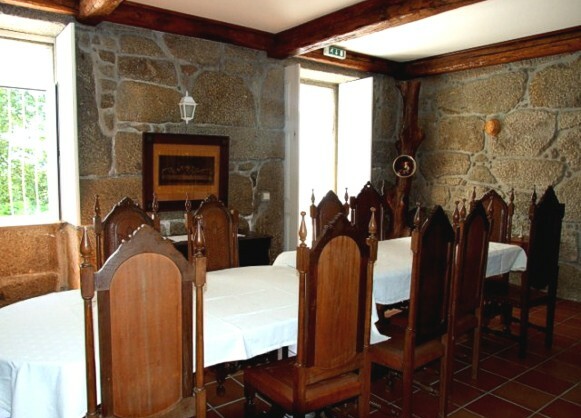 Casa do Valdemar is near the village of Rande, The main town is Felgueiras which has a rich Romanesque heritage which is evident in the many churches. The most remarkable examples are the impressive Monastery of Pombeiro, the beautiful church of Airaes and the nearby church of Unhao. The region also has interesting archaeology from other periods, including the dolmens of Refontoura and Idaes, several Roman and Medieval bridges, old roads and a fascinating Roman Villa at Sendim dating from the 1st. century. The regions handicrafts include the stringed musical instruments and the famous embroideries of Felgueiras. The location of the property gives easy access to the beautiful town of Guimaraes, declared World Heritage site by Unesco. The historical city of Porto, also named as a World Heritage site, which is at 65 kilometers away. This region is renowned for its gastronomy and Vinho Verde (green wine). The nearest restaurant to the house is about 1,5 kilometers and the shops 5 kilometers away. 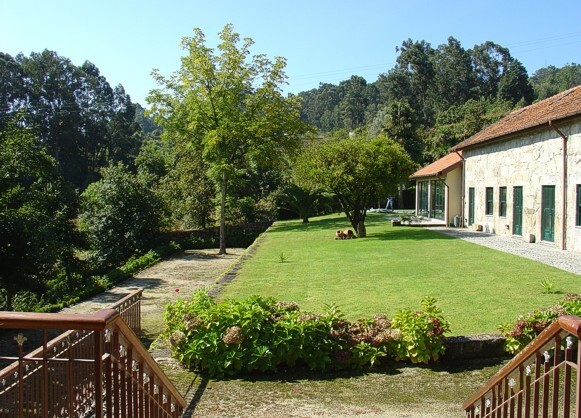 The Amarante golf course is about 20 kilometers away. There are horse-riding stables near the house. Oporto international airport is about 56 kilometers away. Comment posted by P. O. We were 11 adult couples and stayed at the villa for a week. The villa is very spacious, spotless and comfortable. All rooms are en-suite ( a rare option in large villas), the kitchen, lounge and dinning room are very spacious and have all the facilities. The owner put us in touch with a rental agency for a mini bus to take us around, excellent service! Comment posted by D. F.